Honeybees pollinate over 100 plants providing an annual value of over $22 billion to the North American economy. 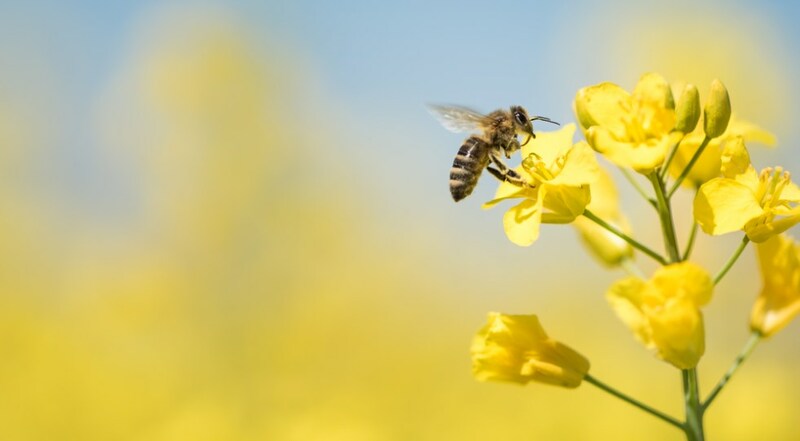 Climate change, nutrient deficiency, loss of biodiversity, neonicotinoids, pathogens, and pests collectively contribute to declining bee numbers converging on a phenomenon called Colony Collapse Disorder (CCD). Varroa destructor – a tiny ectoparasitic mite – is broadly recognized as the leading cause for CCD undermining bee immunity, transmitting viruses, and reducing nutrient levels. As the world population continues to expand declining bee health present a major threat to global food production. Recent computer models reveal that if CCD remains untreated the first signs of a food crisis would start manifesting within a decade. Given the urgent need for a simple, long lasting, and sustainable bee health strategies, we offer a novel biocontrol for Varroa treatment based on years of scientific research, academic excellence, and fascination with the most industrious and socially intelligent species on Earth.